Most people know what is good for them, but don’t always practice what they know. From our experience of teaching over 2,000 yoga classes, we understand that committing to a healthy lifestyle needs to incorporate all of the elements of the human system, not just the physical. We have helped over 1,000 people including busy mums, dads, athletes and professionals. We assist them to develop a state of Optimal Living in each element of their lives through a systematic framework. This framework utilises a combination of group, one-on-one training and consultation. 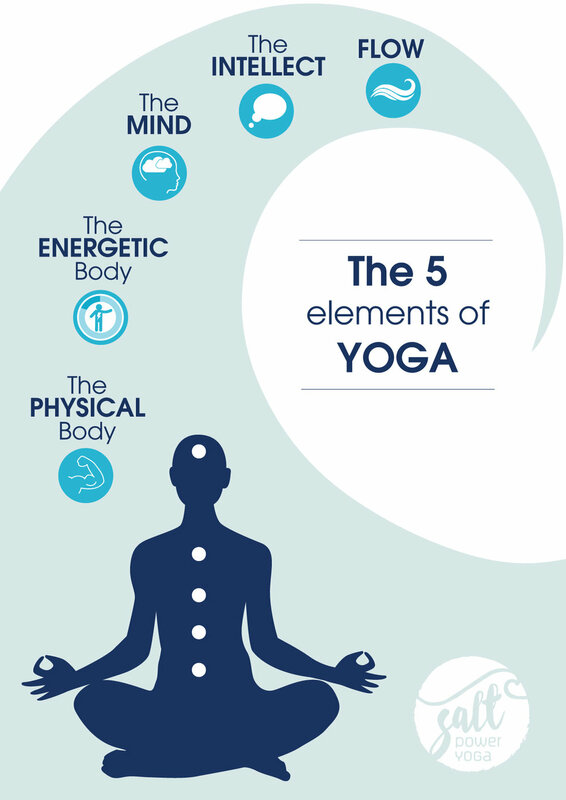 We partner Yoga with physical fitness and holistic health practitioners to develop freedom in body, mind and spirit. The Optimal Living 40 Week Program created by our professional team addresses and upskills each of the important elements in your life. It is a holistic approach to unlocking freedom in your body, mind and spirit. Reduce Workplace Stress and Improve Productivity with Mindfulness & Yoga Training. Let us help to create a customised program for your workplace to increase productivity, and decrease work-related stress. Our teacher training is world class. We focus on developing the individual to be the most awesome version of themselves, so they can give their unique gift & insight to the world through yoga. Find out more about our partner Yoga NRG. What is the Optimal Living Program? Yoga is often defined as a ‘system for self-discovery. First, to deliver a remarkable solution for your Optimal Living we want to help you explore and understand the different elements in your life. In your Discovery Session you will receive quantifiable feedback that you can test and retest to measure the improvement in your health and wellbeing. Find freedom in your body by building muscle, increasing flexibility and perfecting your posture. You will have unlimited access to 26 regular classes per week, in our purpose built facility operating 7 days. There are classes to suite your body, and your busy lifestyle. Classes include: Beginners Yoga, Foundational Yoga, Yoga Flow, Power Yoga, Yin Yoga and Restorative Flow. Learn to move with fluidity and grace in everything you do. Benefits include increased core strength, improved postural alignment, greater joint mobilisation, helps develop co-ordination, stability and breath. The power of High Intensity Interval Training (HIIT) combined with the breathing and mindfulness aspects of yoga keeps your heart strong and your body healthy. Catering for every fitness level, this fun 30 minute class will build strength, and work your cardiovascular system. Myotherapy focuses on restoring optimal activity, reducing the likelihood of injury and keeping you moving and performing at your best. Myotherapists provide treatment and for a wide range of musculoskeletal pain and associated conditions, for example: Back pain, Neck and shoulder pain, Headache, Sports injuries, Occupational injuries, Fibromyalgia and other chronic pain presentations. Naturopathy is a holistic approach to wellness based on the principle that the body has the inherent ability to heal itself to optimal levels. Naturopathic treatments boost the body's natural healing potential, restoring harmony and preventing disease. Some of the more common conditions treated include fatigue, stress related ailments, digestive problems, PMT and general aches and pains. However, you do not need to be unwell to benefit from naturopathy. Naturopathy, nutrition and supplementation aids your body to efficiently turn your food into energy for Optimal Living. The breath, is the source of your prana, or vital life force. Learn how to tap into yours through formal breathing lessons, workshops, yoga classes and one-on-one training. Many people are aware of the theory in modern physics that matter and energy are just different expressions of the same thing (E=MC2 or Energy = Matter). The practice of pranayama—releasing and channelling the body's stores of internal energy—has been seen to nurture a high level of bodily health and mental clarity. Both of which are crucial steps on the path to self-knowledge and Optimal Living. When you train your brain to be mindful, you’re actually remodelling the physical structure of your brain. Mindfulness helps us put some space between ourselves and our reactions, breaking down our conditioned responses. Far beyond the pleasant states that mental exercises can produce, purposeful, sustained mind training can create altered traits: sustained, beneficial qualities of thinking, feeling, and acting that are accompanied by lasting, supportive changes in the brain. You will learn the skill of meditation through workshops, classes and regular yoga from our experienced practitioners. Participants in the 40 Week Optimal Living Program will receive the Optimal Living - Daily Planner. The Daily Planner has been designed to give you space for reflection and contemplation, so that you can set your day’s objectives from a place of purpose and passion. As opposed to starting your day on the back foot, ticking items on a to do list. You will receive your return on investment from this 1 tool alone. As parents, children, lovers and leaders we know relationships need work. When they do work, relationships are the source of the greatest joy you could experience, while they can also be the source of the greatest pain and suffering. To move into flow in life you need to nourish and support your important relationships. Our experienced relationship coach will guide you through this process. This is really the ability to tie everything you learn and practice into a way of Optimal Living. Our world class Yoga & Surf Retreats and intensives are known for taking people out of their comfort zones and doing things they never thought possible. In these life changing weekends, you will be living fully without holding back; breaking down barriers of self-doubt and old habits, and having a hell of a lot of fun!! Check out our Retreats webpage for details on our next upcoming retreat. The power for personal growth, discovery, change and fun is in the Community. 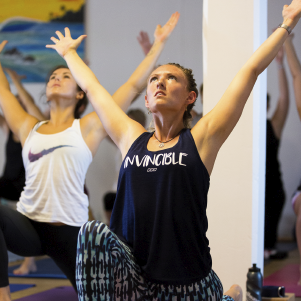 The Epic Yoga & Lifestyle community is made up of a dynamic group of extraordinary people dedicated to improving their lives and holding each other accountable. When you shift your peer group to one focused on contribution and living, you upskill in every aspect and start to feel the Flow in life. Join us for regular catchups, events and every day in the studio.